In designing this new, cutting-edge sensor, we focused on capturing the best image in addition to meeting the speed and sensitivity requirements of the market. The 4-Mpx design significantly increases the information contained in an image allowing researchers to better understand and quantify the phenomena they are observing. 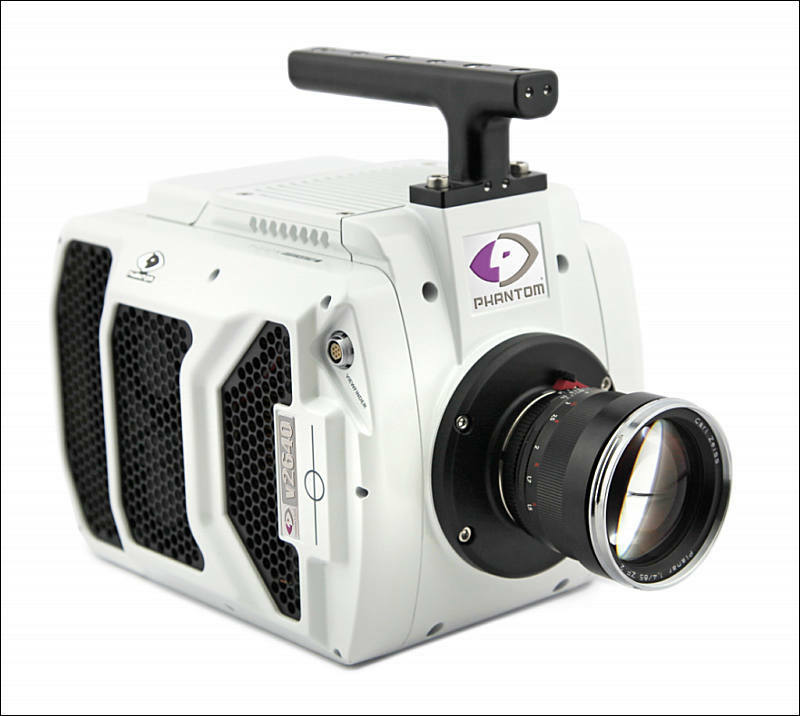 Vision Research, a leading manufacturer of digital high-speed imaging systems, has introduced the Phantom® v2640, the fastest 4-Megapixel (MPx) camera available. It features a new proprietary 4-Megapixel (Mpx) CMOS image sensor (2048 x 1952) that delivers unprecedented image quality at up to 26 Gpx/sec, while reaching 6,600 frames per second (fps) at full 2048 x 1952 resolution, and 11,750 fps at 1920 x 1080. The v2640 features very high dynamic range (64 dB) and the lowest noise floor of any Phantom camera (7.2 e-)---making it an excellent tool for researchers, scientists and engineers who need to capture clean, high-resolution images at ultra-high speeds. The high dynamic range shows significant detail, especially in high-contrast environments, while the low noise is particularly beneficial when analyzing the dark regions of an image. It also has exceptional light sensitivity, with an ISO measurement of 16,000D for monochrome cameras and 3,200D for color cameras. "We're excited to bring this extremely high image quality to the high-speed camera market," says Jay Stepleton, Vice President and General Manager of Vision Research. "In designing this new, cutting-edge sensor, we focused on capturing the best image in addition to meeting the speed and sensitivity requirements of the market. The 4-Mpx design significantly increases the information contained in an image allowing researchers to better understand and quantify the phenomena they are observing." The v2640 has multiple operating modes for increased flexibility. Standard mode uses correlated double sampling for the clearest image, while high-speed (HS) mode provides 34% higher throughput to achieve 6,600 fps. Monochrome cameras can incorporate "binning," which converts the v2640 into a 1-Mpx camera that can reach 25,030 fps at full resolution, with very high sensitivity. "The various operating modes also allow users to have just one camera to cover multiple applications," adds Doreen Clark, Product Manager for the Phantom Ultrahigh-Speed family. To help users manage the amount of data inherent in high-speed imaging, the v2640 is available with up to 288GB of memory, and is compatible with Phantom 1TB and 2TB CineMags® for fast data saves. Alternatively, 10Gb Ethernet is standard, saving significant download time. Vision Research is a leading manufacturer of high-speed digital imaging systems that are indispensable across a wide variety of applications, including defense, automotive, engineering, science, medical research, industrial manufacturing, packaging, sports broadcast, TV production and digital cinematography.